Generally, upon the appointment of an Executor/Executrix via the issuing of the Letters of Executorship by the Master of the High Court, he/she is given the control and overall custody of all the assets of the deceased so as to proceed with the administration of the estate in question. However, with this control and custody comes a lot of responsibilities. 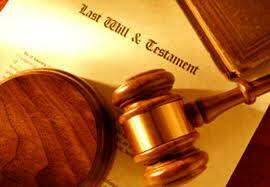 An Executor/Executrix has various duties in respect of the estate in which he/she is appointed as such. Such an appointee is expected to exercise his/her powers bona fide (in good faith) and with the utmost sense of impartiality and is to treat all claims, brought against the estate, fairly. One of these duties is to advertise the estate in question. Firstly, in terms of section 29 of the Administration of Estates Act, for all possible creditors and subsequently in terms of section 35 of same, whereby the final Liquidation and Distribution Account lies open for about 21 days for inspection so as to ensure that it is free from all objections. When dealing with an application for the removal of an Executor under this section, the court is vested with discretion, but in exercising such discretion, consideration should be given to the interests of both the estate and its beneficiaries. In addition to the above provision, the applicant also relied on a common law principle which provides that a court has the discretion to remove an Executor whose personal interests are in conflict with those of the estate. In dealing with this case, the court hled that an Executrix, when dealing with claims against the estate, is obligated to assess all the claims’ “…merits on a fair consideration of all the facts and its legal merits. It is not proper for the executor to reject claims against the estate without some good reason to do so.” It is important to note however that this does not in any way prohibit an Executor/Executrix to reject a claim against the estate, if there are good reasons to do so. Therefore the mere disputing of claims against an estate does not constitute a substantial reason to remove such an Executor/Executrix from office. However, if a court finds that the appointee is utilising his/her office to intentionally resist all or some claims without any due fair minded consideration of the merits of same and/or if it finds that the appointee is doing this so as to secure personal financial benefits in his/her capacity as a beneficiary of the estate, then such court is obligated to remove the appointee in terms of the abovementioned section. In the case in casu the court found that the manner in which the Executrix treated the claims of the applicant rendered her appointment as being undesirable. As a result, the court granted the relief sought by the applicant. THE ELSIE GUNDWANA JUDGMENT… A WARNING TO THE BANKS…OR NOT? Traditionally banks were able to rely on ‘rubber stamped’ orders, handed down by High Court Registrars, to seize and auction off the properties of their mortgage holder defaulters (defaulters). However, the recent Constitutional Court (CC) judgment in the Elsie Gundwana case (Elsie Gundwana v Steko Development CC & Others) is argued to have slightly altered the above position. Steko Development CC obtained an eviction order against Ms Gundwana, which she since then has been resisting until the recent handing down of the judgment (in her favour). The CC declared rule 31 (5) of the Uniform Rules of Court unconstitutional to the extent that it permits the sale in execution of the home of a person. As a result of the above, banks will now have to obtain a judgment from a Judge or Magistrate permitting them to seize and auction off the properties of their defaulters. Note: some years ago, a similar rule to the above, relating to Magistrate Courts had already been declared as being invalid, in the Jaftha v Schoeman case. However, banks have been circumventing this case by approaching Registrars to obtain orders permitting them to seize and sell properties in auction, even when the facts allowed for the approaching of a Magistrate Court. The CC also held that alternative means to collect debt should be preferred over the selling of consumers’ homes. With regards to the above, the CC held that therefore Judges and Magistrate should look at facts such as whether the mortgage debt in question is disproportionate or low in relation to the value of the house or the value already paid in, when determining whether to allow the rescission of the judgment and therefore the subsequent sale of the house. In addition to the normal requirements for rescission, also show that a court with full knowledge of all the relevant facts existing at the time of granting default judgment would nevertheless have refused to execute against your specially hypothecated property. It seems that banks are not put off by this judgment. They believe that although this matter will now entail more administration on their part, when seeking to collect debt by seizing and selling property belonging to their defaulters, the position regarding this matter remains ultimately the same.